Welcome to the Hell Fighter Web Site! Hell Fighter is a fast action combination of space craft simulation, arcade scroller, and tactical gameplay... all brought onto a single battlefield. As an internet multiplayer game, you control one of the ships in combat on a network server. Fighters, capital ships, bases, merchants, freighters, and other units appear in the game... they may be controlled by players or AI. They may be on your side... or they may be the enemy. Hell Fighter is freeware. I write this game because I wanted a game like this to exist, and there is just nothing else like it out there. I am officially closing the Hell Fighter game project. I started writing this game when I was about 15 years old... that was 16 years ago. For the last few years, development has been sporadic at best. I have much less free time and motivation to do it than I used to have back then. And, frankly, after working on it for more than a decade, it starts to get just a little old. I want to move on to new projects. I've had new ideas for new games for a long time which I have never pursued because I would feel guilty for working on them rather than Hell Fighter. So I've gotten stuck. And I just have to admit that it's time to move on. I can't just write the same game for my entire life. I'm not taking down the web site. I'm not removing the game that has been developed. I'm not relinquishing my copyrights. I'm just officially closing development of new versions of this particular game. I may do other things with the universe I have created. And I could even start another space combat game in this universe sometime in the future. Who knows. All I can say for sure is that you have not seen the last from me. Yesterday, I released to alpha testers the first multiplayer capable version of Hell Fighter 2. From the feedback I've heard so far, it's even working pretty good. Having been designed for internet multiplayer from the beginning this time, it should be able to handle it much more smoothly. I've changed the name to 'Hell Fighter 2'. Apparently the previous name was causing some confusion. Some folks thought it was going to be a 1st person cockpit-view type game like a lot of other games out there these days. It's not. After all these years, Hell Fighter's game format is still rather unique. Hell Fighter 2 retains a similar top view 2D game format to the original Hell Fighter, but it uses real time 3D rendering rather than bitmaps. And there's some tilt to the camera angle so that it's not pointing directly downward. Think Einhander or Silpheed (but with free movement rather than being pulled along a fixed path), and you'll be much closer to the mark. Why? It's certainly not because the game engine couldn't be 3D... in fact, the HF2 engine actually is 3D, but constrained to a 2D plane. It is the way it is for game play purposes. The achilles heel of first person flight sims is the extremely limitted situational awareness of the player. It's as if you're in the cockpit with a cardboard tube strapped to your face. You... can't... SEE! So the game mechanics must necessarily limit the amount of action and the aggressiveness of enemy units. Otherwise the player will be totally overwhelmed (and quickly destroyed) by all the things happening outside their cardboard tube view. It's very common in these games to be shot down without having any idea you were even being shot at. In Hell Fighter, the 2D game format allows you to see what's going on all around you. And boy is there a lot going on around you! Don't blink! It's important that you see all of it. When you dodge missiles, it has to be purposeful, well placed, and well timed. Randomly turning won't cut it. Sorry. Well, I got laid off. So I have more time to work on the game for a while! Today I have released to alpha testers the first version of Hell Fighter 3D. It's still a little primitive yet, but you can fly your Hell Fighter around and shoot a bunch of other fighters that are sitting around waiting to be shot with your gatling cannon. Oh, and it is 3D rendered, of course. So while it's not all that and a bag of chips yet, it does mean that substantial groundwork has been laid down, and advancementment should move faster from here. Don't expect the early versions of Hell Fighter 3D to be the equal of everything the older Hell Fighter did. This is a new game. It's based on much of the same great game play and basic format of the former series, but internally it's a completely different animal. It is going to grow in new directions. It is built around multiplayer from the outset. Capital ships and alien races will be around from the beginning. I will be filling in all the alien fleets at more or less the same pace. After all... what's a Terran cruiser without a Dz'Isu cruiser to compare it to? It's also going to shift to greater detail in individual units. Rather than extremely large battles with thousands of units, it will be more focused on smaller battles... say 100 units or less... with greater detail in those units. Oh, and capital ships are going to become larger and much more powerful. Flying a single fighter or two into the point defense range of a cruiser will be suicidal. But a coordinated attack run by a fighter wing loaded with anti-ship munitions... well, it should be entertaining. Of course, the small mpg video loses most of the detail. And some of the detail isn't actually present yet in the first place. But hey, this is just a sneak peek, so don't complain! The upper left virtual display will be the ship status display. The upper right virtual display will be the scanner. Currently, both of them are just displaying a weird spinny thing and a frame count. There will also be a spacy stars and nebulas kind of background for the whole thing in the far distance. But that's not present yet. Frankly, even this early version of the game looks a lot more slick than any previous release of Hell Fighter ever did. And it's not even complete or polished yet. Don't expect it to be the most visually spectacular game ever produced (that's never been its main thrust). But, nevertheless, it's getting a big face lift... as well as enhancements to game play and everything else! I just put Ice Dream up on mp3.com today. This is a whimsical and cinematic song that has nothing to do with Hell Fighter other than having been made by the author of the game. But I'm quite proud of it. So check out the work by Draknonic on mp3.com! That's me! You'll also find the various Hell Fighter battle music and other tunes I've done, too. Most of it has been on the various top 40 charts at mp3.com. Oh... and you're wondering about Hell Fighter development? That's coming along, too. But right now, it's mostly involved in ground work, database coding, thread layouts, etc... stuff that isn't so exciting to talk about. But it's gotta be done! The development of Hell Fighter v22 is already well underway. Development versions already have full real time 3D rendering of battles. As Hell Fighter's display engine and universe engines have been totally seperate for quite some time, it wasn't actually that difficult to replace the 2D display engine with a 3D one. The move to 3D isn't all that v22 will be however. The next version of the game will represent a new genesis. The rebirth of an old game into modern times. The universe engine is literally more than a decade old. It's connected to very modern code for the networking and all that, and it's fun to play... but its coding internals really show its age. And I just can't extend it any further. It hasn't actually changed one bit since it was converted to C from Pascal. It's an object oriented design that was built long before object oriented languages ever existed. It was ahead of its time... a long time ago. I'm going to rip it out and write the universe engine over again from scratch. The game itself will remain a 2D top view scroller just as its always been. But it will look and play a lot different than it has before. The new engine will be much more powerful... and much more fun. 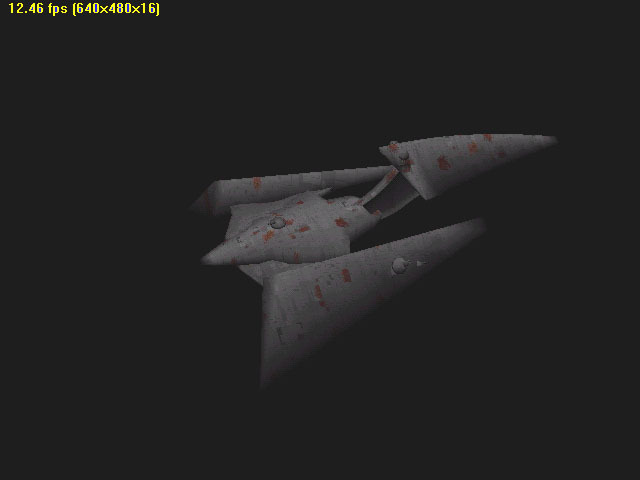 With more simulation detail put into each ship. More flavor. And this time it will be written with the concept of capital ships built into it... rather than being hacked in part way through development (even though they won't actually appear in v22... expect them in v23). And, of course, it will interface with the new 3D engine better. New concepts like heat effects will play a major role (firing your guns a lot tends to overheat your fighter, for example). The way shields work will be quite different (and much more interesting). There will be a lot more variables that make up the flavor of each ship. And alien races will be built into the game from the start. In fact, of the 12 fighters that will appear in v22, only 4 of them will be Terran... the rest are Dz'Isu, Quangee, Berathian, and Tessuane designs. 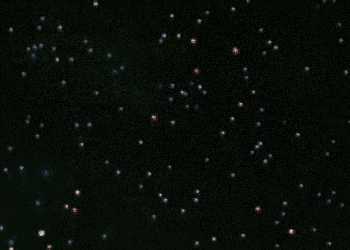 Alien races feature different technologies than the human ships seen in the game to date. Overall, the new game will be much more advanced and exciting to play. I got a lot of feedback from people who were having trouble with the graphics display during battle. The ship graphics would appear scattered all over the display. This problem seems to effect GeForce2 derived graphic cards and possibly other cards as well. It's not something wrong with the graphics drivers. Hell Fighter was reading the wrong value for the pitch. In virtual all cases, the value it was reading was correct anyway. But not on the GeForce2 with graphic acceleration enabled. I put up v21.01 which fixes this issue. For better or worse, I've put up the release version of the new Hell Fighter today. It's probably not as polished as previous Hell Fighter releases, but it's just taken so long to do this conversion to full networking... it just has to go out. I want to move on to 3D and making improvements to the game itself. At this point, the networking is actually pretty tough and stable. And that's the main thrust anyway. Whatever refinements need to be made can appear in bug fix releases. In any case, I have a good platform to build the 3D version now. Put up Beta 7. I think I've managed to kill the remaining desync problems with this version. Big new feature: Inbattle chat. Yes, I said I wasn't gonna do it. I said 'feature creep' was frozen. But people whined about it so much, I put it in. It's just too important a feature to leave out. Unfortunately, the game wasn't designed for it. So it's grafted on with a chainsaw. Seems to work dandy anyway. But it's a terrible hack. The 3D version of the game will be designed with a proper chat console in battle from the ground up. Put up Beta 5. This version fixes some major desync problems. It also improves latency for modems somewhat. And fixes various bugs and issues here and there. We've had some epic battles with it in the initial testing. It's relatively stable. Put up Beta 3 which (hopefully) fixes several bugs in Beta 2. The most notable of which is lockup of the server thread when setting pilots of ships (oops!). Put up the beta page! Hell Fighter v21 beta testing is on! The current version is v21.0b2. Noted that testing is going well, and beta testing would be available soon. Changed the front page to note that networked Hell Fighter testing is underway. Hell Fighter Mailing List is back. This time it's being run by Patrick Stewart instead of me. That way running it doesn't get in the way of my development of the game. 'Ace' is up on mp3.com. Check it out through the 'Music from the Game' link in the side bar. Changed some graphics. Changed some fonts. Looks a lot nicer just for that, I think. I decided to make a more realistic use of the front page. Now I'll use it to talk about what's going on with Hell Fighter and make announcements n stuff. The description of what Hell Fighter is has been moved off to another page which is reached through the 'What is Hell Fighter?' link in the menu frame. I pulled the 'Join the Project' link, since I haven't been dealing with any of those email requests. Sorry. Added 'Music from the Game' link. This links to Drakonic on mp3.com. Drakonic and David Peterson and Skant are all the same person, just so you know. Drakonic is the name I go by in the music world. Added the Fan Sites section. Updated Join the Project section. Updated some copyright notices. I'm writing a little thumbnail page generator for the gallery and the first draft of it is up now. I'll improve it more later. Work has begun on Hell Fighter 3D. No, Hell Fighter is not going to become some sort of Descent Freespace clone. It will retain its current 3rd person format. But the various elements in the game will be rendered in real time 3D using DirectX rather the pre-rendered 2D bitmaps its using now. This will make for a much more visually appealing game. And it will also allow for end users to create their own ship meshes and include them into the game _without my help_. Then they can create them, include them, tweak them, and finish them themselves. And then submit the final finished ship to be included in the official distribution of the game. Also... the image gallery has returned. Thumbnails coming soon! 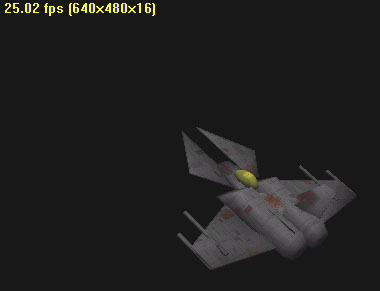 Direct3D 7 utilities for creating ship meshes for use within Hell Fighter 3D have been added to the FTP site. New version up! Hell Fighter v20.3! The site has been moved from my old service provider to my new one. Fixed lots of broken stuff. And v20.3 will be generally available very soon. Hell Fighter Copyright 1995-2001 David Peterson. All rights reserved.